NATO Secretary General, Jons Stoltenberg, has stated that alliance troops would not stay "longer than necessary" in Afghanistan. "We will not stay longer than necessary, but we will not leave before we have a situation, which enables to leave or reduce the number of troops without jeopardizing the main goal of our presence," Sputnik quoted Stoltenberg as saying during a meeting with the US acting Defence Secretary Patrick Shanahan on Monday. 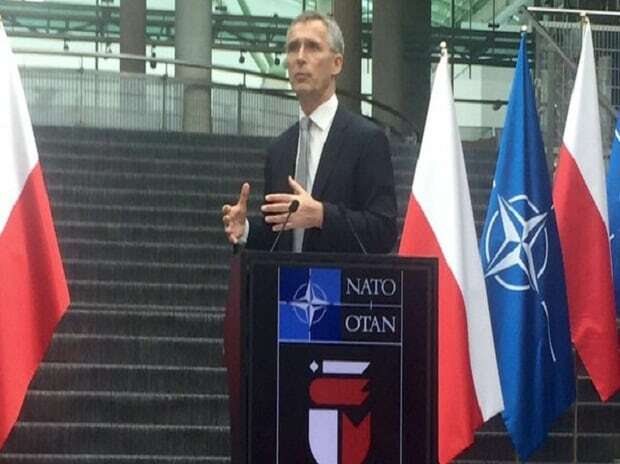 "We strongly support those efforts…We are in close contact with the United States…Our military presence, the purpose of that is to create the conditions for the political solution, and we hope that we will be able to achieve that," the NATO chief remarked during the meeting. He outlined that it is "too early to speculate" about the withdrawal of NATO alliance troops from Afghanistan, noting that it was imperative to reach a peaceful solution in Afghanistan. This comes after the United States put forth that there had been significant progress during talks with the Taliban recently. Furthermore, both the United States and Taliban agreed in principle to chalk out a framework for a deal that could eventually end the 17-year conflict in Afghanistan. Previously, reports suggesting the exit of US troops have been dismissed by the White House, with authorities iterating that the US President, Donald Trump, had no such plans. There are currently around 14,000 US troops and 16,000 personnel from NATO and its allies in Afghanistan.